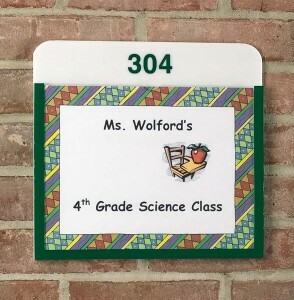 We receive many orders from school systems who are finding that our acrylic wallpocket sign holders are perfect for posting the teacher’s name outside the classroom rather than taping these notices to walls. They can also be used inside the classroom to post activities or progress reports. The plexicpocket is made of durable acrylic so kids won’t destroy them. And let’s face it… teachers are pressed for time. All you need to do is type up a notice on your computer, print it and insert it into our acrylic sign holder. The thumb notice makes it easy to insert, remove and re-insert your postings. It will hold up to this repetitive use. Unlike our competitors, our wallpocket acrylic sign holders can be colorized to match the school’s colors. We have even placed the school logo into the header of our sign holders. 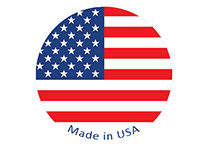 What makes these different is exactly this ability to make our holders more attractive than those you can get at office supply stores.